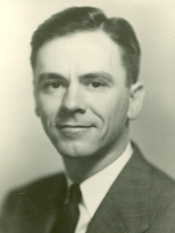 BENNETT, Charles Edward, a Representative from Florida; born in Canton, St. Lawrence County, N.Y., December 2, 1910; attended the Tampa schools; J.D., University of Florida, Gainesville, Fla., 1934; lawyer, private practice; member of the Florida state house of representatives, 1941; United States Army, 1942-1947; elected as a Democrat to the Eighty-first and to the twenty-one succeeding Congresses (January 3, 1949-January 3, 1993); chair, Committee on Standards of Official Conduct (Ninety-sixth Congress); was not a candidate for renomination to the One Hundred Third Congress in 1992; died on September 6, 2003, in Jacksonville, Fla.
Papers: 1903-2001, 253.5 linear feet. Congressional papers including legislative files, committee files, and constituent correspondence. A finding aid is available in the repository and online. Oral History: 1976, 18 pages. Discussions include Charles Bennett's experiences in Congress, recollections of past presidents and of Joseph McCarthy. Oral History: 1970, 19 pages. In the interview, Charles Bennett discusses efforts to make “In God We Trust” the national motto; President Eisenhower's attitude as president and the influence of his military background; Eisenhower's relationship with the Congress; the establishment of the Department of Health, Education, and Welfare; Bennett's observations on McCarthyism and Eisenhower's handling of Senator McCarthy; General Douglas MacArthur; and Bennett's assessment of Eisenhower’s presidency. Audiotape: In Meet the Member [electronic resource], ca. 1968, 1 audiotape. Persons discussed include Congressman Charles E. Bennett. Papers: In the Marian Anderson Papers, ca. 1900-1993, 495 boxes + 3 map case drawers. Correspondents include Charles E. Bennett. A finding aid is available in the repository and online. Bennett, Charles E. "Congressional Ethics." In Congress and Conscience, edited by John B. Anderson, pp. 97-126. New York: J.B. Lippincott, 1970. ___. Florida's "French" Revolution, 1793-1795. Gainesville: University Presses of Florida, 1981. ___. "Fort Caroline, Cradle of American Freedom." Florida Historical Quarterly 35 (July 1956): 3-16. ___. LaudonniÃ¨re and Fort Caroline: History and Documents. Gainesville: University of Florida Press, 1964. ___, trans. Three Voyages. By RenÃ© LaudonniÃ¨re. Gainesville: University Presses of Florida, 1975. Bennett, Charles E., and Donald R. Lennon. A Quest for Glory: Major General Robert Howe and the American Revolution. Chapel Hill: University of North Carolina Press, 1991. Ralph Nader Congress Project. Citizens Look at Congress: Charles E. Bennett, Democratic Representative from Florida. Washington, D. C.: Grossman Publishers, 1972.